Our mission: to inspire wonder and spark renewed interest in space science. Our solution: create the only place on the planet where you can see a shuttle mounted to the original NASA 905 shuttle carrier aircraft and discover the intricate workings of both. The exhibits at Space Center Houston's Independence Plaza inspire problem-solving and showcase the exciting possibilities of careers in science and technology. From inside the vessels that gave humans a new perspective of earth, visitors can be immersed in the joy of learning. Mission accomplished: one million visitors came to the Space Center Houston in 2016, a 14% increase from the previous year. A year later, Space Center Houston sent us on another mission - this time, to Mars! 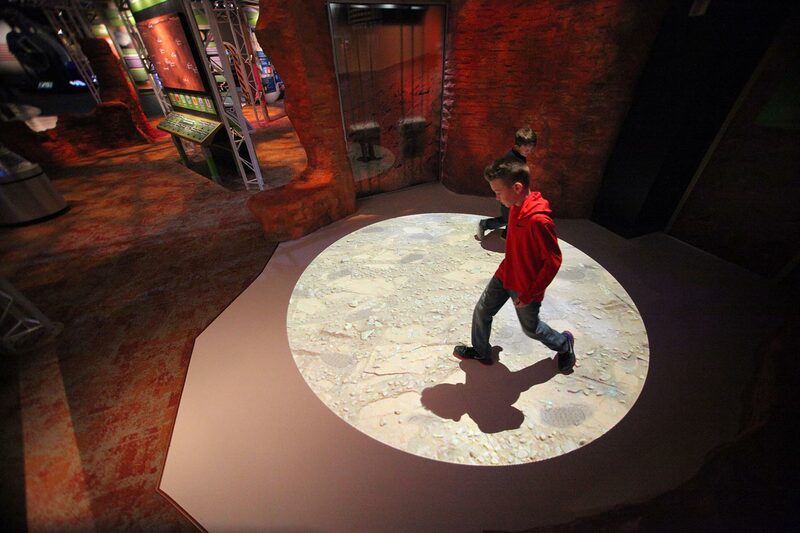 "Mission Mars" showcases an immersive experience about the Red Planet and offers an opportunity to peer inside an Orion spacecraft model, stand close to a giant model rocket, and walk on a virtual Mars environment. Is there life on Mars? What kind of spacecraft could get us there? And how would we get back to Earth? These questions and more are answered in this engaging, interactive look at deep space exploration.